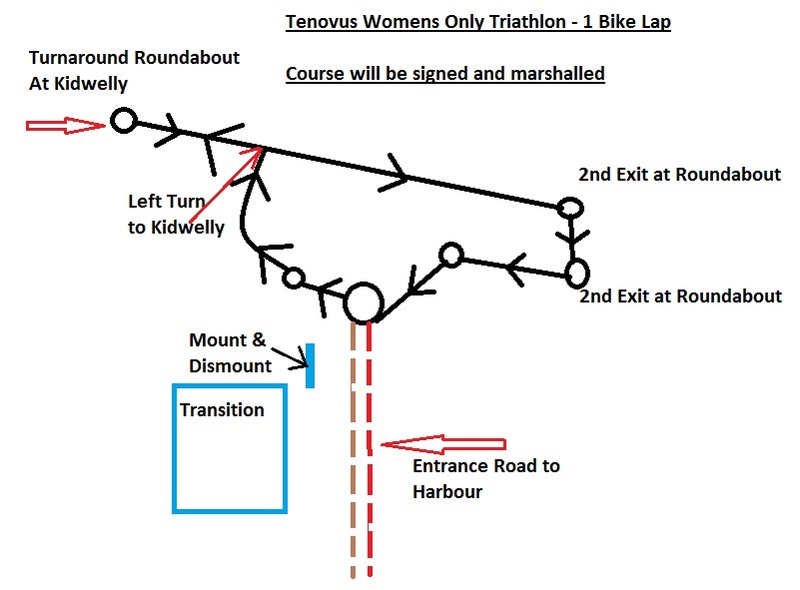 This is a one lap bike course for the Women’s Novice Triathlon. You will be able to follow large Pink arrow signs. 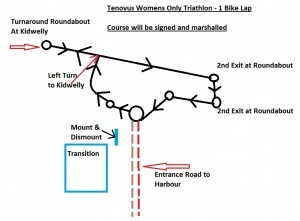 It will be the same bike loop as the Llanelli Standard Triathlon but you will only be doing ONE LAP. When you exit transition you will head towards the Roundabout. Turn left here and take 1st left at the next roundabout. You will then follow this road through Pembrey – please take care of the parked cars. At the junction you will then Turn left and follow the road out towards Kidwelly. 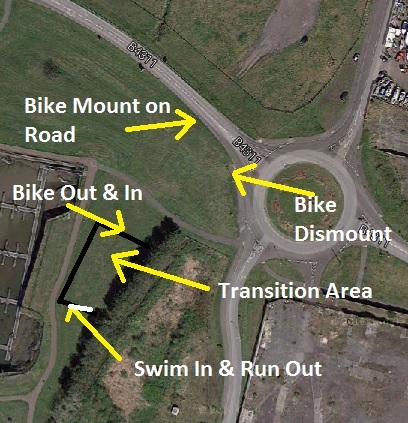 You will turn at the 1st Roundabout in Kidwelly and head back on the road to Llanelli. You then take the 2nd exit on the next Roundabout and straight through the following rounbabouts as you head back towards Burry Port Harbour. 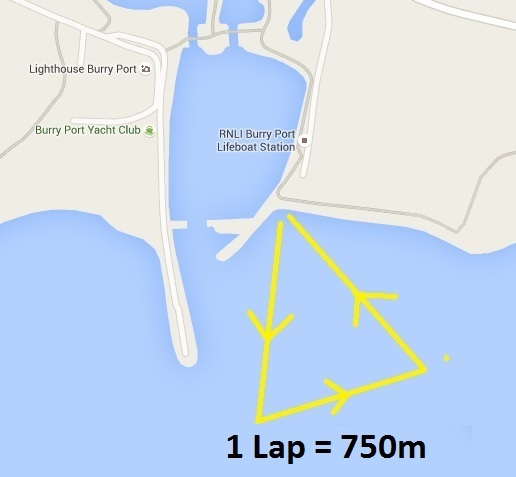 At the roundabout to the Burry Port harbour entrance you will go back into Transition. It’s a straight forward course that will be clearly signposted and marshalled.